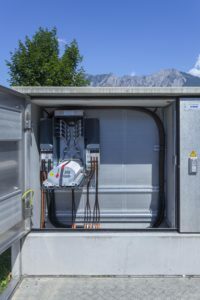 By 2020 the electricity company and waterworks in the town of Buchs (EWB) in Eastern Switzerland wants to have created an FTTH network that will reach 90% of all households. The R&Mfoxs range enables a success-oriented, long-term and gradual rollout. Application: FTTH, new creation and based on cable network infrastructure. Structure: Gateway exchange, 4 POP locations, 50 street cabinets, feeder network, drop cables to the building entry point. R&M solution: Optical Distribution Frame (ODF) with splice boxes, CombiMODULE and inserts, capacity of 23 000 to 28 800 fibers per POP. In a period of seven years – by 2020 – 90% of the town of Buchs should be supplied with FTTH. That represents nearly 7000 dwelling units. As an investor, EWB (the electricity company and waterworks in the town of Buchs) wants to build quickly but in manageable stages. 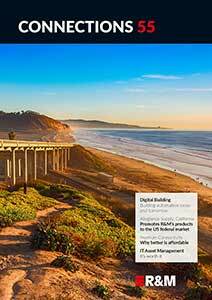 It is planning with top Swiss standards and demands innovative cabling solutions from its suppliers. EWB is implementing the four-fiber module throughout. Overall, the aim is to achieve a profitable relation between high packing density in the POP and the investments per port. EWB is forecasting a Return on Investment period which is just half as long as in comparable projects. The former cable TV network and its gateway exchange form the germ cell for the FTTH network. Four new or at least modernized POPs distribute the signal over 50 street cabinets, feeder network and drop cable to the buildings. The EWB is building to the building entry point (BEP) and laying four fibers into each building. At the POP locations, there is even space in the pioneer shaft for colocation partners. Optical Distribution Frames (ODF) from R&M are the most important distribution platform. In the gateway exchange, the POP buildings and street cabinets a total of 50 ODF cabinets are installed, that is eight to 13 cabinets per station. 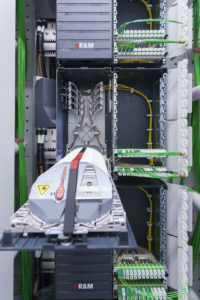 They are equipped with 110 ODF splice boxes, the CombiMODULE and inserts. The nodes usually have a capacity of 23 000 to 28 880 fibers. EWB feels that the R&Mfoxs range is perfect for the use of the four-fiber model and gradual network expansion. Due to the modular principle of the R&M solution, EWB can plan the rollout in manageable stages instead of having to invest in full expansion at the beginning. The cabling in the POP locations can be scaled at a later date with very little effort. 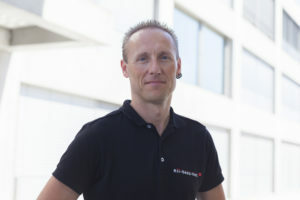 The regional network of cabling operators Rii-Seez Net can rely on exemplary transmission quality and a high willingness of customers to connect.